I'm exclamation. I started this forum when I got hooked on KRDK by a friend from the Power Rangers community. When I couldn't find much of a fanbase for the show on the internet, I decided I'd have to build one. I hope you enjoy it. I dabble a bit in music videos but my main passion is writing. I love writing stories, both fanfiction and original. I've been declared evil on many occasions for my tendency to leave people dangling off cliffs at the end of chapters. If you have any problems with the forum or think there's anything that should be added, let me know. So I guess we introduce ourselves here then? Well hopefully you recognice me *waves* It's Scott/Phycogold from PRU, nice place you got here I dabble in digital graphics, fan fiction and vid making. So you should see some Kamen Rider stuff from me soon. I actually got introduced to the show by Catt001's video on it. Yeah, I'm blaming this on Catt as well. It was probably the same video that got me hooked. Hello,I am CHiCA Kosaka.I am a very big Kamen Rider Dragon Knight fan.I cannot wait to see what W-A-T-S has in store for us.Until next time,Let's Ride! Hi my name is Marty Martina big Kamen Rider Strike fan. just say i like the Evil Kamen Riders. Hey! Glad to be here. I wasn't sure if my account was going to activate or not. I know quite a few of you from PR United. Thanks to Catt and Exclamation for creating this page. Hello. New Here. I've watched some of the episodes of KRDK and find it pretty good so far. I happen to like KR Onyx and Siren out of all 13 riders. Onyx because he reminds me of those "mysterious" kinds of characters and Siren cause she looks cool. After watching some of the episodes, it sort of inspired me to try and create my own. So far...I've got some ideas just for the armor and the description for the cards in the deck. I'll probably post up the drawings when I finish. Well then you can ALL thank 1aurien because it was a video by her that got ME into the fandom. Speaking of introductions... I'm Catt001. Many of you probably recognize me from either PRU or my YouTube account. I'm a vidder/graphic person... and some how I got sucked into this crazy forum board by exclamation. Hi, I'm Eileen. Also a fanfiction author. Love the show and wish they had aired all the episodes instead of giving it the bum's rush. It was decent of them to at least put the last two episodes online, but I know several people without computer access who were stuck. Luckily I'm generous with my netbook (a red Acer Aspire named Siren). What I like best are the character moments and interactions. There's a lot of character growth and development in forty episodes, and I love every minute of it. I am usually writing fanfictions, but I sometimes do vids, but I never upload them XD"
Hey, everyone. I'm Kamen Rider Lynx, and I go by Lyrical or Lyric. Some of you might recognize me from KamenConnection.com or Fanfiction.net. My favorite things about the series are the plot, which is intricate and never certain, and the way the characters change throughout the series, maturing and learning more about each other and themselves. What goes on Riders? I'm ClimaxJumper. I'm a fan of KRDK, PR, Sentai,and more! Some may know me through my YouTube channel (located on my profile). I like to listen to music, read books and fan-fictions and just hang out with friends. I have a Facebook account (Just ask me in a private message) and many other accounts as well. Hi, everyone. I'm Kyle. I'm a fan of PR, Dragon Knight, and some other series. I recognize a few people here from PRU (Catt001 in particular) and it's greta to be here. A major fan of Chris Ramirez and both Torques (actually roleplay the former in a few rpgs) as my favorites in the series. Seeing as I'm very interested in writing a DK fanfic you may see me in the fanfiction section eventually. Hello. I'm Transcendent. I'm pretty much your average Jane, besides the fact that I'm a KRDK and PR maniac. You may end up seeing some of my work in the fanfiction area, that is if I get the courage to post them or not. I may seem boring at first, but get to know me and you've landed yourself in a heap of trouble lol. Nice meeting you all and welcome aboard. Hi. I am DK09. I just joined this forum! I do know some of you. I am really good friends with CHiCA Kosaka, ClimaxJumper, OujaStrike but I am sure to make more of them while on here! 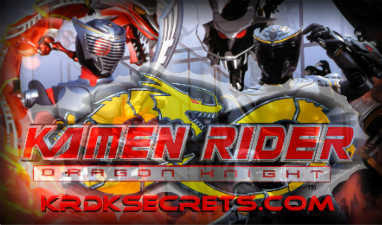 I do have a YouTube account, youtube.com/DK09Rider where I make a lot of KRDK MV's, I have blogs about KRDK and some of you may of heard of my fan-fic that I wrote with CHiCA Kosaka called "Kamen Riders: Defenders of KamenConnection." Perhaps, some of you saw me on KamenConnection.com where I do go on their a lot. Anyways, I rambled on long enough. Let's Ride! Hi. I am DK09. I just joined this forum! I do some of you. I am really good friends with CHiCA Kosaka, ClimaxJumper, OujaStrike but I am sure to make more of them while on here! I do have a YouTube account, youtube.com/DK09Rider, I have blogs about KRDK and some of you may of heard of my fan-fic that I wrote with CHiCA Kosaka called "Kamen Riders: Defenders of KamenConnection." Perhaps, some of you saw me on KamenConnection.com where I do go on their a lot. Anyways, I rambled on long enough. Let's Ride! Hello love 'Bout time I join a forum. I'd just like to welcome all our new members on behalf of Way-Above-Top-Secret to the forum, hope you enjoy your stay here and if you guys need anything be sure to let either myself, Catt001 or Exclamation know. Hello. You will only know me as ICJ. I am new on this website and a HUGE fan of KRDK. I hope to have a great time on this website. You might know me as LTF-FTL1000 from theseems.com.